In addition, VENICE DESIGN has the pleasure to host the exhibition “NO TASTE FOR BAD TASTE so Starck, so Bouroullec … so Le French Design” by the VIA. The exhibition is taking a world tour and will be visiting Palazzo Rossini in Venice this summer. 10 essential values of French design will be highlighted by 40 iconic pieces from the best French designers among them Philippe Starck, Erwan & Ronan Bouroullec and matali crasset. The masterpieces are selected by a prestigious think-tank of 40 internationally renowned figures, with an original scenography by designer Jean-Charles de Castelbajac. 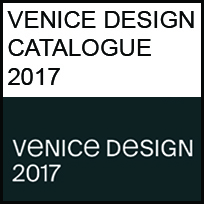 While Palazzo Michiel has become the platform to host an international vision on design, VENICE DESIGN also intends to show its visitors the design landscape of Venice. 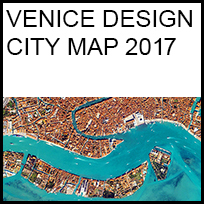 A city map has been created enabling our visitors to discover around 40 independent designers all living and working in Venice. 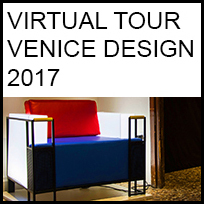 This collaboration between VENICE DESIGN and Venetian designers invites visitors to find new inspiration by exploring the singular traditions and original design processes taking place in Venice, sometimes in plain sight, sometimes tucked away in an alley. This map can be found here. Nendo (JPN), Asher Israelow Studio (USA), Kinetura (BEL), Pierre Cardin (FRA), Studio Florentijn Hofman (NLD), DEUTSU (DEU), VIA - “NO TASTE FOR BAD TASTE so Starck, so Bouroullec … so Le French Design” (FRA), Orley Shabahang (USA), JARKEN (THA), Jouni Leino (FIN), HervetManufacturier (FRA), Anton Hendrik Denys (BEL), TRUE-TREU (TUR), Steen Higham (DNK), Sang Yoon Kim -Listen Communication (KOR), Alessandro Ciffo (ITA), Jonathan Browning Studios (USA), Merve Kahraman (TUR), Carolin Zeyher (DEU), Gerard Kuijpers (BEL), Wael Farran (LBN), Yi Chen & Muchen Zhang (CHN), Valeria Montaña (COL), Luca Casini (ITA), Isaac Monté (NLD), Hiroki Takada (JPN), LOLO PALAZZO (NLD), Estúdio Ronald Sasson (BRA), Jomo Tariku (USA), Studio Heike Buchfelder (DEU), Designing Cultures Studio (SGP), Marie-Louise Hellgren (SWE), Barbara Prinčič (SVN), Eckhard Beger - ArteNemus (CHE), Jenny Ritzenhoff (DEU), TOZ design (TUR), Leony van Schalm (NLD), Ekaterina Elizarova (RUS), MS&WOOD - Ado Avdagić (BIH), ATELIER OPA (JPN), Revology (NZL), Studio KBB (DEN), Studio Nina Lieven (DEU), Ari Korolainen (FIN), Pao Hui Kao (TWN), Vedran Erceg (HRV), Daniela Buonvino (ITA), The Cabinet (HKN), Tiago Sá da Costa Design Studio (PRT), Gisela Simas - Original Practical Design Limited (BRA) and Carmadesign (ITA).